[S89] Family Search, Parish registers for St. Peter le Poer's Church, London, 1561-1905. Citizen and Mercer of London.2 John Garraway married Ursula Bridges, daughter of Sir John Bridges. [S392] Website findagrave.com (http://www.findagrave.com/) "#27323697." [S392] Website findagrave.com (http://www.findagrave.com/) "# 136704269." [S392] Website findagrave.com (http://www.findagrave.com/) "# 43464746." [S205] Newspaper, The Evening News, 15 June 1940. [S205] Newspaper, The Journal of the American Medical Association, Vol. 115 p. 399. [S392] Website findagrave.com (http://www.findagrave.com/) "# 43464745." [S392] Website findagrave.com (http://www.findagrave.com/) "# 41785208." [S89] Family Search, Pennsylvania County Marriages, 1885 - 1950. [S208] 1900 US Census, Harrisburg city, Dauphin, Pennsylvania. [S205] Newspaper, The Evening News, 20 March 1943. High Street, St Maurice, Winchester, Hampshire. [S61] George E. Gask, A Surgeon in France. [S205] Newspaper, Stamford Mercury - Friday 12 December 1828. Eleanor Gask was born in 1873 in South Mimms the birth was registered in the September quarter in the Barnet district. She was the daughter of Henry Gask and Elizabeth Styles. Eleanor Gask was baptised on 3 September 1873 at St. Giles's, South Mimms.1 Became the Lady Almoner of St. Bartholomew's Hospital and was awarded an M.B.E. for her work in World War One.2 She was probably the Eleanor Gask whose death was registered in the quarter ending March 1962 in the Henley-on-Thames registration district. [S232] Ancestry.com, London, England, Births and Baptisms, 1813-1906. Hertfordshire, Saint Giles, South Mimms. [S117] The Times Newspaper, Wednesday, May 26, 1971. [S117] The Times Newspaper, Saturday, Aug 28, 1971. Professor George Ernest Gask M.D., CMG, DSO, M.A., FRCS was born on 1 August 1875 in 10, Queen's Gardens, Bayswater, London.2 He was the son of Henry Gask and Elizabeth Styles.3 Professor George Ernest Gask M.D., CMG, DSO, M.A., FRCS was baptised on 8 September 1875 at Christ Church, Lancaster Gate, London.4 He was descended from a family of Lincolnshire smallholders. His father Henry walked to London to seek his fortune, in which he and his brother succeeded by establishing a drapery business in Oxford Street. He went to Dulwich College and also studied at Lausanne, Freiburg im Baden before entering the medical school of St. Bartholomew's Hospital in 1898; he thus gained a working knowledge of German and French, some experience of continental methods of education, and a realization of the benefits of foreign travel which had a lasting effect upon his subsequent career. He qualified L.R.C.P. and M.R.C.S. in 1898 and became house-surgeon to John Langton, proceeding to the fellowship of the Royal College of Surgeons of England in 1901. A period of training as a demonstrator of pathology and as surgical registrar led to his appointment in 1907 as assistant surgeon to (Sir) D'Arcy Power, whose researches into the history of medicine were at once a stimulus and an example to Gask who ultimately became expert in the history of military surgery. He thus embarked on the life of a surgical consultant and teacher, and for five years was warden of the Bart's residential college. In 1912 the younger surgeons at St. Bartholomew's formed a study group which they called the Paget Club, and in the light of subsequent events it is significant that at their second meeting Gask read a paper on the methods of teaching surgery in England, Germany, and America. In the previous year he had visited several of the university medical schools in the United States and advocated the incorporation of certain features of the foreign systems into British schools, but concluded that such innovations were hindered by the burden of routine work in the hospitals. Clearly he had the advantages of 'whole-time' academic units in mind, but had to wait until after the war of 1914-18 for a chance to translate his ideas into practice. During the war he distinguished himself in the surgery of chest wounds, being appointed to the D.S.O. in 1917 and C.M.G. in 1919 for his services as consulting surgeon to the Fourth Army. As soon as he returned from France, Gask set about forming the surgical professorial unit at St. Bartholomew's, manifesting from the outset an important attribute of a professor, good judgment in the choice of his assistants. He brought (Sir) Thomas Dunhill from Melbourne as his deputy. The unit gradually gained the confidence of the rest of the hospital staff who appreciated Gask's unselfish idealism and trusted him not to interfere with their work. A further evidence of his good judgment was his selection of subjects for research, and in due course significant contributions were made to thyroid surgery, to the use of radium for breast cancer, and to the surgery of the sympathetic nervous system. Gask was quick to appreciate the help he could obtain from his scientific colleagues, and the collaboration of Hopwood in physics, Woollard in anatomy, and Mervyn Gordon in virology was invaluable. He was a model director, providing the ideas and encouraging younger men to do the work. Even when teaching tried to make the students find out things for themselves instead of telling them the answers; the undiscerning thought 'Uncle George' was merely lazy. Although not a brilliant operator his technique was gentle and based on sound principles. He organized the Pilgrim surgeons who traveled widely to see the great masters at work, and he also arranged that in alternate years a leading surgeon should become temporary director the surgical unit. 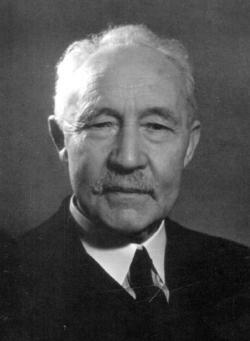 Gask, who retired in 1935, was called upon to serve on several bodies outside his own medical school. At the Royal College of Surgeons he was on the council from 1923 until 1939, he gave the Vicary and Bradshaw lectures, and was twice a Hunterian professor. He was an original member of the Radium Trust, and served on the Medical Research Council from 1937 to 1941. He took a leading part in planning the Postgraduate Medical School at Hammersmith and was an active member of its governing body. He succeeded Lord Moynihan as chairman of the editorial committee of the British Journal Surgery. His own writings included a pioneer study of The Surgery of the Sympathetic Nervous System (with J. Paterson Ross, 1934) and Essays in the History of Medicine (1950). During the war of 1939-45 he acted as a temporary surgeon to the Radcliffe Infirmary, and greatly appreciated the consequent associations with the university of Oxford and the medical services in the Oxford Region. [S232] Ancestry.com, London, England, Births and Baptisms, 1813-1906. Westminster, Christ Church, Lancaster Gate, 1876.